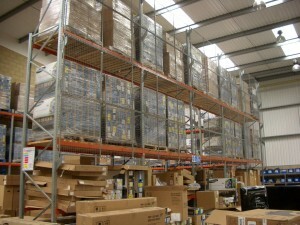 Anti-Collapse Mesh is used to prevent loose stock from falling from a pallet and causing injury to pedestrians or fork truck drivers within the warehouse environment. 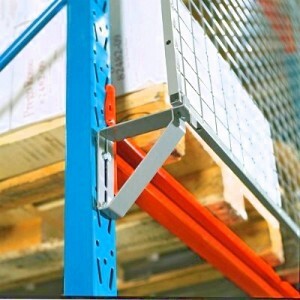 The Anti-Collapse Mesh is fixed to the rear of Pallet Racking Uprights, allowing a clearance so that pallets can still be positioned correctly on the beams. Hampshire Mezzanine Floors advise the use of Anti-Collapse Mesh to separate fork truck areas from picking areas or pedestrian gangways. Hampshire Mezzanine Floors can fit Anti-Collapse Mesh to all brands of racking and we can carry out repairs to existing installations.